Finally, please see the message below from AFSCME International President Lee Saunders about an upcoming Town Hall meeting for the 2016 Presidential election. 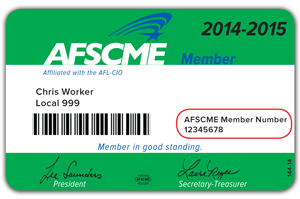 Call Membership Services at 1-855-AFSCME1 (1-855-237-2631) betweenMonday – Friday, 10 a.m. – 6 p.m. ET. It’s more important than ever that we elect candidates who are strong allies for working people. I hope you will join us. Register here. Sent via ActionNetwork.org. To update your email address or to stop receiving emails from AFSCME Action Center, please click here.